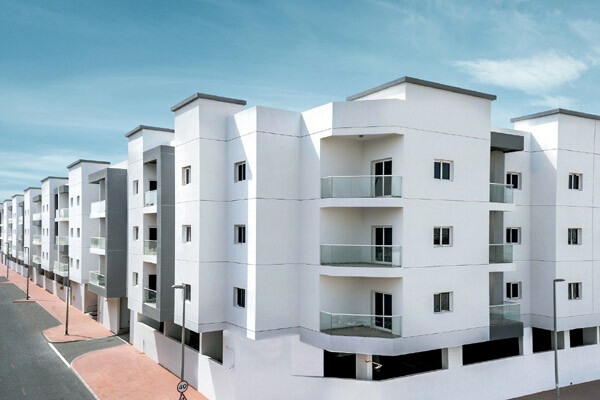 UAE-based wasl properties has announced the completion of its new residential project in Al Quoz area of Dubai. The centrally-located wasl Crystal will feature 306 apartments including studio, one-, two-, and three-bedroom units. A subsidiary of wasl Asset Management Group, wasl properties manages an extensive real estate portfolio of more than 35,000 residential and commercial properties within Dubai. The new project, wasl Crystal will boast nine studios ranging from 412 to 579 sq ft, 63 one-bedroom units ranging from 741to 898 sq ft, 54 large one-bedroom units ranging from 900 to 983 sq ft, 168 two-bedroom units ranging from 1,102 to 1,278 sq ft, three large two-bedroom units with a size of 1,422 sq ft, and nine three-bedroom apartments ranging from 1,495 to 1,544 sq ft. Known for being an employment hub and for its many art galleries, Al Quoz is a vital Dubai location. wasl Crystal aims to offer value housing options for all Dubai’s residents in a central location, conveniently located near al Khail Mall and within proximity to Al Asayel and Al Khail Roads, allowing residents easy access to the rest of Dubai. Chief Property Management and Marketing Officer Zainab Mohammed said: "wasl Crystal in Al Quoz contributes to maintaining and enhancing the vitality of this area, underscored by wasl’s mandate to meet the demand for a variety of units around Dubai that cater to a wide demographic." "The project further consolidates our mission to enhance the real estate market in Dubai by providing a myriad of compatible options for our customers," she stated. The wasl Crystal is within reach of landmark Dubai locations like Business Bay, Downtown Dubai, and Jumeirah, and is a further reflection of wasl’s ongoing strategy to redevelop and reinvigorate older parts of Dubai by introducing new and integrated residential offerings to key locations like Al Qouz.